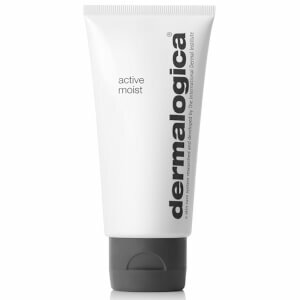 Dermalogica Active Moist is like a cool glass of water for your skin after a 10-mile run. It won't plug up your pores or increase the grease, it simply works to alleviate dry, tight skin. It contains no artificial fragrance or color. 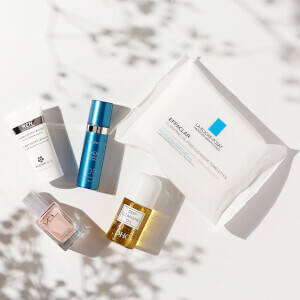 Apply to clean skin, especially to dry areas like the forehead, chin and cheeks. Use day or night. Silk Amino Acids: Smooth and help improve skin texture. Mallow/Cucumber/Arnica: Soothe and hydrate the skin. Grapeseed/Vitamin A,C & E: Anti-oxidants, protect against free radical damage. Aloe: Moisturizes and prevents dehydration. Lavender (Lavendula Angustifolia) Extract, Caprylic/Capric Triglyceride, Butylene Glycol, Methyl Gluceth-20, Dimethicone, Lactamide MEA, Stearic Acid, Octyl Methoxycinnamate, Cetearyl Alcohol, Polysorbate 60, PEG-100 Stearate; Extracts Of: Mallow (Malva Sylvestris), Ivy (Hedera Helix), Cucumber (Cucumis Sativus), Sambuscus Nigra, Arnica Montana, Pellitory (Parietaria Officinalis), Watercress (Nasturtium Officianate), Burdock (Arctium Lappa), Sage (Salvia Officinalis), Lemon (Citrus Medica Limonium), Saponaria Officinalis, Grape (Vitis Vinifera) Seed; Silk Amino Acids, Glycolipis, Hyaluronic Acid, Lavandin (Lavandula Hybridia), Palmitoyl Hydroxypropultrimonium Amylocpectin/Glycerin Crosspolymer, Lethicin, ALlantoin, Panthenol, Cetyl ALcohol, Glyceryl Stearate, Polyquaternium-10, Carbomer, Triethanolamine, Propylene Glycol, Disodium EDTA, Diazolidinyl Urea, Methylparaben, Propylparaben. This moisturizer has a light texture and is easy to apply. It's thinner than the other Dermalogica ones I've tried. It's a nice moisturizer function-wise but I have a problem with the scent. It has no added fragrance but it definitely has a smell and it reminds me of glue. Although I didn't have any adverse effects using it, I tended to ignore it because of the scent. Eventually threw it away because I couldn't tell if the product was intact. The tube packaging was hard to keep clean. In general, I've found that I don't like the packaging of Dermalogica's basic product line in the white and grey. I find them lacking in functionality when it comes to dispensing and protecting the product.